Cotton webbing is a lightweight eco-friendly material that can be used in a variety of situations. 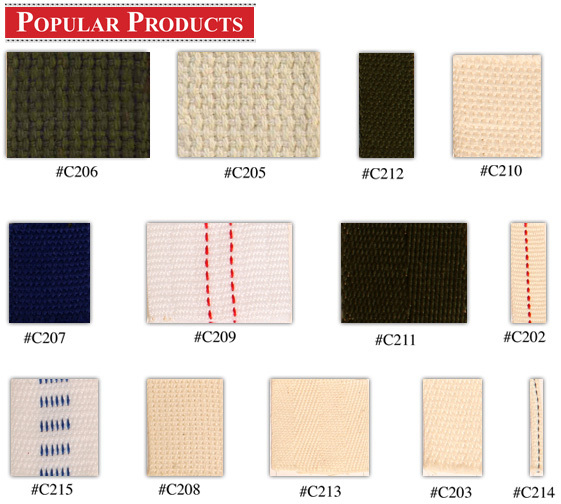 When choosing the perfect webbing for your next project, California Webbing Mills has the cotton webbing you need in a variety of stock colors. Color and shade matching are available based on your preference so please feel free to contact us regarding color matching cotton webbing. The most common uses for cotton webbing include handbag straps, belts, lanyards, and small pet collars. 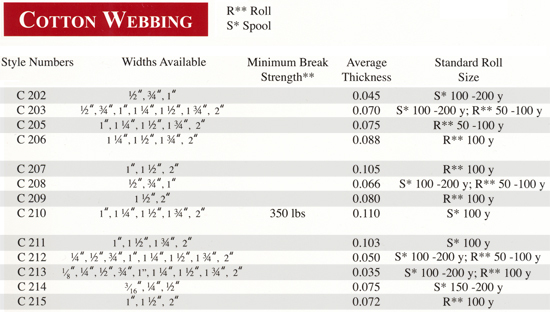 Cotton webbing for belts can be purchased in small or large lot lengths depending on the specific project needs. Creating a cotton webbing belt is as simple as cutting the material to length and attaching a male and female buckle to the each end of the webbing length. Small pet collars can be created in the same manner. Lanyards can also be created from cotton webbing in thinner widths. Lanyards are typically used to hold badges or identification cards. Companies wishing to create employee lanyards at a fraction of the retail cost can order large lots of cotton webbing. Creating lanyards with narrow cotton webbing requires feeding a hook onto the cotton webbing and attaching a small buckle on each cut end. These lanyards can be created for pennies on the dollar. Whether creating a set of lanyards for your small business employees or starting a new home project with cotton webbing for belts, California Webbing Mills offers colors and lengths to meet all your needs. For more personalized projects, feel free to contact us with any product inquiries, questions, comments, or concerns. We are here to provide you with cotton webbing you can rely on for years to come.